''Recognising the need is the primary condition for design." Charles Eames. 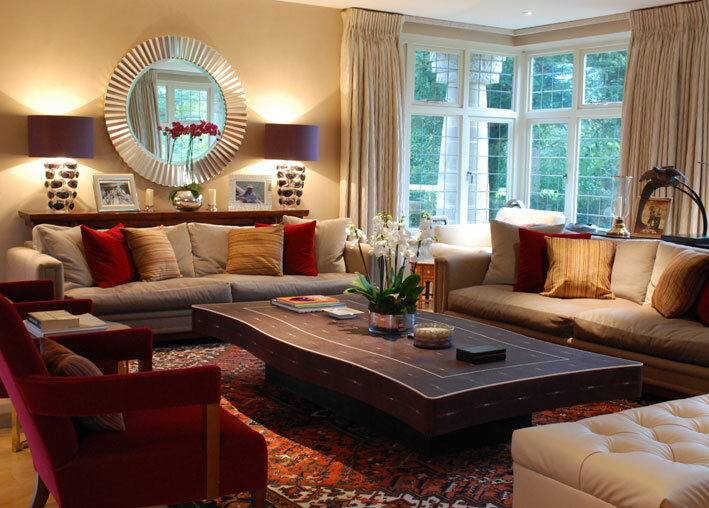 MCW Associates founded over 35 years ago are specialist interior designers based in London, who have many year’s working with both national and international hotels, mansions and privately owned houses and buildings. We provide a complete interior design and architectural design service from initial concept and detail design right through to submitting local authority applications, implementation and completion on site. Creating classic contemporary interiors since 1982, MCW Associates provide a comprehensive interior design service for private clients, developers, hotels and restaurants. We were even listed as one of the top 20 interior designers in the UK by The Telegraph. We believe that any space has potential to be turned into a great place with the right guidance regardless of whether it’s a small flat or a huge mansion. That’s where we step in, our interior design services have been honed for many years, allowing us to provide not only great advice and guidance but handle every aspect of interior design and architecture for you. Our continued work within the hospitality industry is something we’re very proud of, our decades of experience of creating luxurious spaces within hotels, restaurants as well as our work in mansion is something we draw on heavily, even if we’re working on a residential project. We love working on any kind of project and have a wide range of styles and approaches that we can tailor to your needs, whether your project is a small overhaul of something you have, a complete project on your property or something as large as a mansion or hotel. So no matter if you’re looking for an interior designer who’ll cater your interior to your own personality, or looking for something more thematic, based off a well-known style, we’re always ready to tackle a challenge. MCW’s Interior Designers blend texture, colour and bespoke furniture to create exceptional living or hotel environments that are relaxed and comfortable from our base in Gloucestershire all the way to London.